1. JAMES HORACE5 KIRKLEY (ROBERT4, ROBERT KIRKLEY3 SR., JAMES2 KIRKLEY, (SR.), JOHN1) was born 05 Apr 1871 in Sumter, Sumter County, South Carolina, and died 23 Aug 1946 in Nacogdoches, Texas1. He married (1) ADDIE SELINA BOYETT 03 Jan 1894 in Nacogdoches, Texas2, daughter of WILLIAM BOYETT and SARAH HARTLESS. She was born 05 Oct 1875 in Nacogdoches County, Texas3, and died 26 Jan 1921 in Nacogdoches, Texas4. He married (2) ADA VIOLA HARTLESS5 Abt. 1923 in Nacogdoches County, Texas, daughter of RUBEN HARTLESS and NANCY RIDGE. She was born 29 Sep 1892 in Texas, and died 30 Jun 1971 in Houston, Texas. James Horace is buried in Pleasant Hill Cemetery, Nacogdoches, Texas between his two wives, Addie, and Ada. Incorrect places of birth are shown on 1930 Nacogdoches County, Texas Census District 20, Precinct 7, Douglas & Lilbert Rd. James Horace was born in Sumter, South Carolina, and both his parents were born in South Carolina. FamilySearch.com (Latter Day Saints site) gives marriage date as January 03, 1894. Living with father, a widower, and seven brothers and sisters and Ada's two children on 1920 Nacogdoches County, Texas Federal Census. She was 27 years old. i. INFANT6 KIRKLEY, b. 1895. 2. ii. BERTHA PRISCILLA KIRKLEY, b. 09 Sep 1896, Mahl, Nacogdoches County, Texas; d. 03 Aug 1979, Nacogdoches, Texas. 3. iii. JESSE ARDEE KIRKLEY, b. 18 Sep 1898, Mahl, Texas; d. 13 Feb 1963, Houston, Harris County, Texas. 4. iv. NINA ALBERTINE KIRKLEY, b. 06 Sep 1900, Mahl, Nacogdoches County, Texas; d. 17 Feb 1990, Houston, Harris County, Texas. 5. v. VELMA KIRKLEY, b. 09 Oct 1902, Mahl, Texas; d. 21 Sep 1993, Nacogdoches Co., Texas. vi. MAMIE KIRKLEY, b. 05 May 1905, Nacogdoches County, Texas; d. 16 Aug 1908, Nacogdoches County, Texas. 6. vii. WILLIE LONNIE KIRKLEY, b. 17 Jan 1908, Linnflat, Nacogdoches County, Texas; d. 17 Jun 1976, Jacksonville, Cherokee County, Texas. 7. viii. ELLIS WADE KIRKLEY, b. 11 Oct 1911, Linnflat, Nacogdoches County, Texas; d. 25 Aug 1962, Nacogdoches County, Texas. ix. LUTHER WILLIAM KIRKLEY, b. 18 Oct 1915, Texas; d. 19 Sep 1978, Houston, Harris County, Texas6; m. TOY E. ________; b. 02 May 1915; d. 13 Aug 1971, Houston, Harris County, Texas7. 8. x. ELSIE MAY6 SELF, b. 01 Nov 1914, Nacogdoches County, Texas; d. 18 Jul 2005, Nacogdoches County, Texas. 9. xi. ROY LEE KIRKLEY, b. 23 Dec 1917, Nacogdoches County, Texas; d. 07 Dec 1996, Polk County, Texas; Stepchild. xii. PAULINE KIRKLEY, b. 29 Apr 1925, Nacogdoches County, Texas; m. (1) ERNIE HANVY, 14 May 1960; m. (2) JIMMY GOOLSBY, Unknown; d. 1966.
xiii. VERLINE KIRKLEY, b. 17 May 1926, Cushing, Nacogdoches County, Texas8; d. 12 Apr 2008, Texas9; m. JOHNNY MYRICK, 17 Nov 1956, Houston, Harris County, Texas10; b. 08 May 1919, Lone Mott, Texas11; d. 06 Apr 1999, Huntsville, Texas. D. F. Thompson, Jr. was Justice of the Peace at the wedding. 10. xiv. BILLIE JEAN KIRKLEY, b. 29 Mar 1931, Nacogdoches County, Texas. 11. xv. LUCILE KIRKLEY, b. 10 Feb 1934, Nacogdoches County, Texas. 12. xvi. LILAS MARIE KIRKLEY, b. 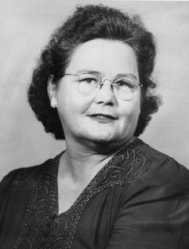 16 Apr 1936, San Saba, Texas; d. 26 Feb 2006, Katy, Harris County, Texas. 2. BERTHA PRISCILLA6 KIRKLEY (JAMES HORACE5, ROBERT4, ROBERT KIRKLEY3 SR., JAMES2 KIRKLEY, (SR.), JOHN1) was born 09 Sep 1896 in Mahl, Nacogdoches County, Texas12, and died 03 Aug 1979 in Nacogdoches, Texas13. She married JESSE JAYE BOATMAN 07 Dec 1913 in Nacogdoches County, Texas14, son of JOHN BOATMAN and MARIAH COATS. He was born 05 Jul 1893 in Nacogdoches, Texas15, and died 07 Apr 1968 in Nacogdoches, Texas15. 13. i. ADA7 BOATMAN, b. 1916. 14. ii. JESSE LEE BOATMAN, b. 20 Apr 1919; d. 20 Apr 1967, Houston, Texas. 15. iii. BESSIE BOATMAN, b. 1922, Nacogdoches County, Texas; d. 17 Oct 1998, Nacogdoches County, Texas. 3. JESSE ARDEE6 KIRKLEY (JAMES HORACE5, ROBERT4, ROBERT KIRKLEY3 SR., JAMES2 KIRKLEY, (SR.), JOHN1) was born 18 Sep 1898 in Mahl, Texas, and died 13 Feb 1963 in Houston, Harris County, Texas. He married RUBY BAILEY 12 Jan 1919 in Nacogdoches County, Texas16, daughter of JOHN BAILEY and JOHANNA PETERSON. She was born 14 May 1902 in Nacogdoches County, Texas, and died 03 Oct 1983 in Nacogdoches, Texas17. Did not like his middle name, and would refuse to answer if used. Information given by Iva Louise K. Shaw. 16. i. EDNA ALIECE7 KIRKLEY, b. 10 Jan 1920, Nacogdoches County, Texas; d. 06 Feb 2002, Nacogdoches County, Texas. 17. ii. DOROTHY MILDRED KIRKLEY, b. 05 Feb 1921, Nacogdoches County, Texas; d. 16 Feb 1992. 18. iii. HAZEL AGATHA KIRKLEY, b. 06 Apr 1923, Nacogdoches County, Texas. 19. iv. MYRTLE PAULINE KIRKLEY, b. 13 Dec 1924, Nacogdoches Co., Texas. 20. v. RUTH FAYE KIRKLEY, b. 27 Feb 1926, Nacogdoches County, Texas; d. 03 Jan 1971, Russell, Kansas. 21. vi. CHESTER RAY KIRKLEY, b. 20 Sep 1930, Nacogdoches County, Texas. 22. vii. IVA LOUISE KIRKLEY, b. 21 Nov 1932, Nacogdoches County, Texas. viii. ESTEL WADE KIRKLEY, b. 03 Aug 1934, Nacogdoches County, Texas18; m. SANDY _________. 23. ix. TROY EDWARD KIRKLEY, b. 09 May 1937, Nacogdoches County, Texas; d. 17 Oct 1998, Spring, Harris County, Texas. 24. x. ADDIE JO KIRKLEY, b. 30 Nov 1939, Nacogdoches County, Texas; d. 29 Apr 2002, Lovelady, Texas. 4. NINA ALBERTINE6 KIRKLEY (JAMES HORACE5, ROBERT4, ROBERT KIRKLEY3 SR., JAMES2 KIRKLEY, (SR.), JOHN1) was born 06 Sep 1900 in Mahl, Nacogdoches County, Texas19, and died 17 Feb 1990 in Houston, Harris County, Texas20. She married MARSH GLENN BROYLES 04 Feb 1917 in Nacogdoches County, Texas21, son of ROBERT BROYLES and GEORGIA _______. He was born 12 Sep 1887 in Cherokee County,Texas22, and died 28 Nov 1965 in San Saba, Texas23. Registration for draft----WWI----gives his age and place of birth. Born 12 Sep 1887 in Cherokee County, Texas. He and Nina A. Kirkley were recently wed, and had no children at this time. i. RUTH7 BROYLES, b. 06 Sep 1919, Nacogdoches County, Texas24; d. 17 Oct 1939, Temple, Texas. ii. RAYMOND BROYLES, b. 1922, Texas. 25. iii. HORACE BROYLES, b. 1924, Texas. iv. GRAHAM BROYLES, b. 1926, Texas. v. TOMMIE LEE BROYLES25, b. 02 Dec 1937, Bexar County, Texas. 5. VELMA6 KIRKLEY (JAMES HORACE5, ROBERT4, ROBERT KIRKLEY3 SR., JAMES2 KIRKLEY, (SR.), JOHN1) was born 09 Oct 1902 in Mahl, Texas, and died 21 Sep 1993 in Nacogdoches Co., Texas. She married JERRY P. GREEN 10 Jan 1923 in Texas, son of WILLIAM GREEN and RHODA SEELBACH. He was born 13 Sep 1902 in Teague, Texas, and died 29 Apr 1983 in Nacogdoches, Texas. Minnie V. on 1910 Nacogdoches County Texas Fed. Census; Image 31....Ancestry.com; age 6 on this census. 26. i. BETTY LOU7 GREEN. 28. iii. VIRGIL GREEN, b. 18 Oct 1923; d. 26 Nov 1999, Nacogdoches County, Texas. 29. iv. MARVIN WADE GREEN, b. 14 Nov 1926, Nacogdoches County, Texas; d. 11 Nov 1990, Nacogdoches County, Texas. 30. v. LOU WILLIE GREEN, b. 25 Apr 1935. 6. WILLIE LONNIE6 KIRKLEY (JAMES HORACE5, ROBERT4, ROBERT KIRKLEY3 SR., JAMES2 KIRKLEY, (SR.), JOHN1) was born 17 Jan 1908 in Linnflat, Nacogdoches County, Texas, and died 17 Jun 1976 in Jacksonville, Cherokee County, Texas26. He married LIDA BERRYHILL27,28 23 Sep 1933 in Nacogdoches County, Texas, daughter of WINFIELD BERRYHILL and MINNIE CLIFTON. She was born 17 Aug 1916 in Nacogdoches County, Texas, and died 17 Apr 2008 in Nacogdoches County, Texas29. 31. i. IMA JEAN7 KIRKLEY, b. 28 Sep 1934, Nacogdoches County, Texas; d. 24 Apr 2003, Nacogdoches County, Texas. 32. ii. JO ANN KIRKLEY, b. 23 Dec 1941, Nacogdoches County, Texas. iii. INFANT DAUGHTER KIRKLEY30, b. 25 Sep 1945. 7. ELLIS WADE6 KIRKLEY (JAMES HORACE5, ROBERT4, ROBERT KIRKLEY3 SR., JAMES2 KIRKLEY, (SR.), JOHN1) was born 11 Oct 1911 in Linnflat, Nacogdoches County, Texas, and died 25 Aug 1962 in Nacogdoches County, Texas. He married IMA LEE HUTCHINSON 1948, daughter of OLLIE HUTCHINSON and JESSIE BARRETT. She was born 01 Sep 1927 in Nacogdoches County, Texas31, and died 02 Dec 1994 in Nacogdoches County, Texas. Have picture of gravestone taken May 23, 1999; died as result of accidental gunshot wound as he was unloading or loading his gun into a car while on a squirrel hunting trip. 33. i. DON7 KIRKLEY, b. 30 Mar 1949, Nacogdoches County, Texas. 34. ii. HOWARD LEE KIRKLEY, b. 26 Jul 1951, Nacogdoches County, Texas. 35. iii. ELLIS GLYN KIRKLEY, b. 16 Feb 1955, Nacogdoches County, Texas. 8. ELSIE MAY6 SELF (JAMES HORACE5 KIRKLEY, ROBERT4, ROBERT KIRKLEY3 SR., JAMES2 KIRKLEY, (SR.), JOHN1) was born 01 Nov 1914 in Nacogdoches County, Texas32, and died 18 Jul 2005 in Nacogdoches County, Texas33. 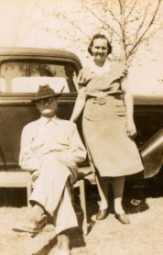 She married JIM ALLEN COATS 23 Dec 1933 in Nacogdoches Co., Texas, son of WILLIAM COATS and SARAH SCROGGINS. He was born 02 Aug 1910 in Nacogdoches County, Texas, and died 28 Feb 1986 in Nacogdoches Co., Texas34. On the 1920 Nacogdoches County Texas Federal Census she is listed as Self, Elcie (mispelled), Precinct 7, District 134, Image 8 & 9....Ancestry.com. 36. i. MARY HELEN7 COATS, b. 05 Oct 1934, Nacogdoches Co., Texas. 37. ii. JIM ALLEN COATS JR., b. 16 Mar 1937, Nacogdoches Co., Texas. 38. iii. BONNIE MAXINE COATS, b. 01 Mar 1942, Nacogdoches Co., Texas; d. 13 Jan 1962, Dallas, Texas. 39. iv. PATRICIA ANN COATS, b. 22 Mar 1946, Nacogdoches Co., Texas. v. GEORGE ROYCE COATS, b. 29 Dec 1949, Nacogdoches County, Texas35; m. BRENDA K. CORNETT, 01 Jan 1979, Nacogdoches County, Texas35; b. 195635. 40. vi. WANDA FAYE COATS, b. 18 Jan 1954. 9. ROY LEE6 KIRKLEY (JAMES HORACE5, ROBERT4, ROBERT KIRKLEY3 SR., JAMES2 KIRKLEY, (SR.), JOHN1)36 was born 23 Dec 1917 in Nacogdoches County, Texas, and died 07 Dec 1996 in Polk County, Texas37. He married JAUTHINE COUNTS Abt. 195038, daughter of GROVER COUNTS and SARAH PEARSON. She was born Abt. 1932 in Texas39. Roy was born to Ada Viola Hartless and brought into marriage of Ada Viola and James Horace Kirkley. Used the Kirkley name all his life after his mother's marriage. 1920 Nacogdoches County Texas Federal Census, Precinct 7, District 134; Image 8 & 9....Ancestry.com lists Roy Lee as a Rawlinson. Active duty in World War II started October 15, 1941. Principal beneficiary on insurance policy was Mrs. Ada Viola Kirkley and contingent beneficiary was James H. Kirkley. Address at that time was Rt. 1, Laneville, Texas. Roy had brown eyes, per Kerry Lee Kirkley, May 08, 2003. From a large family, most listed as "Living" on Patterson Family Tree on Ancestry.com----One World Tree. Estimated birth date is in the 1930s. ......On Texas Birth Index 1903 - 2000, first names of children born in the 1930s in this Counts family is missing from record. Therefore unable to find Jauthine's birthdate. 41. i. BARBARA ARLINE7 KIRKLEY, b. 30 Mar 1954, Harris County, Texas. 42. ii. BRENDA ELAINE KIRKLEY, b. 07 Jan 1956, Harris County, Texas. 43. iii. KERRY LEE KIRKLEY, b. 10 Aug 1957, Houston, Harris County, Texas. 44. iv. SONJA JAUTHINE KIRKLEY, b. 20 Nov 1962, Harris County, Texas. 10. BILLIE JEAN6 KIRKLEY (JAMES HORACE5, ROBERT4, ROBERT KIRKLEY3 SR., JAMES2 KIRKLEY, (SR.), JOHN1) was born 29 Mar 1931 in Nacogdoches County, Texas. She married JOHN HOLAK 11 Jul 1952 in Houston, Harris County, Texas40. 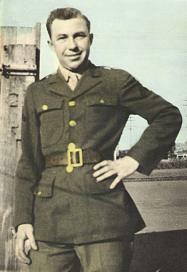 He was born 30 Aug 1918 in Thorpe, West Virginia41, and died 31 Dec 2001 in Houston, Texas42. Also 2000, 2001, and 2002. 45. i. DAVY PATMOS7 HOLAK, b. 22 Nov 1953, Houston, Harris County, Texas. 46. ii. DARIUS MARK HOLAK, b. 14 Oct 1958, Houston, Harris County, Texas. 47. iii. DANIEL FRANK HOLAK, b. 06 Apr 1960, Houston, Harris County, Texas. 48. iv. DEREK JOHN HOLAK, b. 23 Apr 1974, Houston, Harris County, Texas. 11. LUCILE6 KIRKLEY (JAMES HORACE5, ROBERT4, ROBERT KIRKLEY3 SR., JAMES2 KIRKLEY, (SR.), JOHN1) was born 10 Feb 1934 in Nacogdoches County, Texas43. She married (1) CHARLIE BAKER. He was born 21 Mar 1939 in Cushing, Nacogdoches County, Texas, and died 1972. She married (2) PAUL HOWELL 02 Dec 1971. He was born 08 Aug 1928 in DeQueen, Arkansas. Attended 2007 James Horace Kirkley reunion in Nacogdoches Texas, May 20; only one of the four surviving sisters that did attend. 49. i. DONNA LYNN7 BAKER, b. 14 Feb 1955, Houston, Texas. ii. ROBERT ALLAN BAKER, b. 05 Apr 1960, Houston, Texas. 50. iii. GLENDA JEAN BAKER, b. 07 Oct 1963, Houston, Texas. 12. LILAS MARIE6 KIRKLEY (JAMES HORACE5, ROBERT4, ROBERT KIRKLEY3 SR., JAMES2 KIRKLEY, (SR.), JOHN1) was born 16 Apr 1936 in San Saba, Texas, and died 26 Feb 2006 in Katy, Harris County, Texas44. She married NICK STOLARSKI 27 Nov 1953 in Missouri City, Texas. He was born 15 Sep 1931 in Chappell Hill, Washington Co., Texas. 51. i. DEBRA LYNN7 STOLARSKI, b. 29 Dec 1954, Houston, Texas. 52. ii. JERRY LEE STOLARSKI, b. 29 Mar 1956, Houston, Texas. 53. iii. LILLIAN MARIE STOLARSKI, b. 06 Jul 1957, Houston, Harris Co., Texas. 54. iv. WILLIAM STOLARSKI, b. 11 Feb 1959, Houston, Harris Co., Texas. 13. ADA7 BOATMAN (BERTHA PRISCILLA6 KIRKLEY, JAMES HORACE5, ROBERT4, ROBERT KIRKLEY3 SR., JAMES2 KIRKLEY, (SR.), JOHN1)45 was born 1916. She married (1) ROBERT BEDDINGFIELD46. She married (2) (?) HALL. 14. JESSE LEE7 BOATMAN (BERTHA PRISCILLA6 KIRKLEY, JAMES HORACE5, ROBERT4, ROBERT KIRKLEY3 SR., JAMES2 KIRKLEY, (SR.), JOHN1) was born 20 Apr 191947, and died 20 Apr 1967 in Houston, Texas. 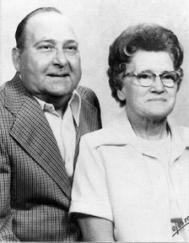 He married ELEANOR SOLOMON 31 Jan 1941 in Nacogdoches County, Texas48, daughter of JOSEPH SOLOMON and ILENA BRYANT. ii. CHARLES LEE BOATMAN, b. 21 Nov 1944, Harris County, Texas49. iii. VIRGINIA BOATMAN, b. 12 Jun 1946, Harris County, Texas49. iv. ELAINE JOY BOATMAN, b. 06 Oct 1956, Harris County, Texas49. 15. BESSIE7 BOATMAN (BERTHA PRISCILLA6 KIRKLEY, JAMES HORACE5, ROBERT4, ROBERT KIRKLEY3 SR., JAMES2 KIRKLEY, (SR.), JOHN1) was born 1922 in Nacogdoches County, Texas, and died 17 Oct 1998 in Nacogdoches County, Texas50. She married RALPH WHIT RANDALL. He was born 01 Mar 1917 in Nacogdoches County, Texas, and died 08 Dec 1998 in Nacogdoches County, Texas51. i. DAVID8 RANDALL, b. 28 Aug 1945, Harris County, Texas52; d. Abt. 1978, Colorado; m. OPHELIA ANNE ________, 22 Aug 1964, Nacogdoches County, Texas53. present time (June 30, 1998). His first name is Ralph. 55. ii. DANNY JOSEPH RANDALL, b. 19 Oct 1955, Nacogdoches County, Texas. 56. iii. GARY ALTON RANDALL, b. 07 Aug 1948, Nacogdoches County, Texas. 57. iv. JANET RANDALL, b. 1954, Nacogdoches County, Texas. v. BELVA JEAN RANDALL, b. 20 Aug 1951, Nacogdoches County, Texas54; m. BILLY AMBOW. 16. EDNA ALIECE7 KIRKLEY (JESSE ARDEE6, JAMES HORACE5, ROBERT4, ROBERT KIRKLEY3 SR., JAMES2 KIRKLEY, (SR.), JOHN1) was born 10 Jan 1920 in Nacogdoches County, Texas, and died 06 Feb 2002 in Nacogdoches County, Texas55. She married JAKE CRISP. Found a Gary Marcus Crisp on Nacogdoches County Births for 1951. Born November 27, 1951. Does this person belong with this family?? Or is Ronnie Glen Crisp, born September 16, 1951, a member of this family?? i. ANITA LAVERNE8 CRISP, b. 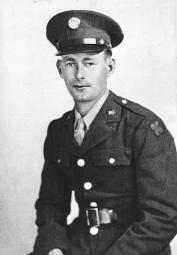 09 Apr 1944, Nacogdoches County, Texas; m. ROLAND TAYLOR. ii. NINA MAE CRISP56, b. 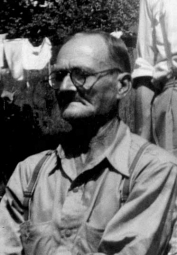 27 Oct 1948, Nacogdoches County, Texas; m. FREDDIE FRITCH. iii. RONALD DEAN CRISP56, b. 21 Apr 1953, Nacogdoches County, Texas. iv. WANDA JEAN CRISP56, b. 31 Mar 1957, Nacogdoches County, Texas. 17. DOROTHY MILDRED7 KIRKLEY (JESSE ARDEE6, JAMES HORACE5, ROBERT4, ROBERT KIRKLEY3 SR., JAMES2 KIRKLEY, (SR.), JOHN1) was born 05 Feb 1921 in Nacogdoches County, Texas, and died 16 Feb 1992. She married (1) ALVIN JONES. She married (2) WILLIAM ORAN OWENS. He was born 25 Oct 1915 in Texas57, and died 25 Jun 1956 in Riverside, California57. i. BETTY JO8 OWENS, b. 08 Feb 1944, Nacogdoches County, Texas58. ii. MARGIE NELL OWENS, b. 21 Mar 1947, Nacogdoches County, Texas59. 18. 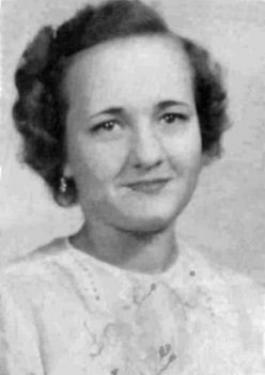 HAZEL AGATHA7 KIRKLEY (JESSE ARDEE6, JAMES HORACE5, ROBERT4, ROBERT KIRKLEY3 SR., JAMES2 KIRKLEY, (SR.), JOHN1) was born 06 Apr 1923 in Nacogdoches County, Texas. She married (1) HOLLIS CURTIS BEAVERS. She married (2) JOHN HARTT. Marriage Records on RootsWeb.com shows another marriage in 1967 to John Leonard Hartt, Nacogdoches County, Texas. i. BOBBY GLEN8 BEAVERS, b. 22 Jun 194260.
ii. SANDRA BETH BEAVERS61, b. 18 Nov 1946, Nacogdoches County, Texas62; d. Nov 1946, Nacogdoches County, Texas. 19. 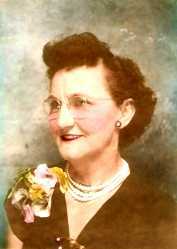 MYRTLE PAULINE7 KIRKLEY (JESSE ARDEE6, JAMES HORACE5, ROBERT4, ROBERT KIRKLEY3 SR., JAMES2 KIRKLEY, (SR.), JOHN1) was born 13 Dec 1924 in Nacogdoches Co., Texas. She married WILBERN LUCAS 11 Dec 1943 in Nacogdoches Co., Texas. He was born 13 Dec 1910 in Center, Texas, and died 16 Feb 1992. Could not attend 2006 Reunion; in hospital for congestive heart failure. 58. i. JAMES EDWARD8 LUCAS, b. 24 May 1945, Beaumont, Texas. 59. ii. CARROLL DEAN LUCAS, b. 21 Apr 1949, Port Arthur, Texas; d. 31 Oct 1995. 60. iii. PAULA DIAN LUCAS, b. 29 May 1959, Port Arthur, Texas. 20. RUTH FAYE7 KIRKLEY (JESSE ARDEE6, JAMES HORACE5, ROBERT4, ROBERT KIRKLEY3 SR., JAMES2 KIRKLEY, (SR.), JOHN1) was born 27 Feb 1926 in Nacogdoches County, Texas, and died 03 Jan 1971 in Russell, Kansas. She married (1) WILLIAM MOLANDER63. He was born 04 Dec 1915 in Nacogdoches County, Texas, and died 02 Feb 1997 in Well, Cherokee County, Texas64. She married (2) ALVIE REICHARD65 1954. He was born 27 Feb 192766. 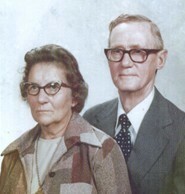 Fern Kirkley's Records show Ruth Faye's husband as Alvie Rickardt. I found her husband, William Molander, in Texas Birth Records for 1949 as father of James Nelson Molander. From 2004 Reunion, the daughters, Billie Ruth and Linda Lou, are also Molanders. 61. i. BILLIE RUTH8 MOLANDER, b. 13 Oct 1946.
ii. LINDA LOU MOLANDER, b. 07 Feb 1948, Nacogdoches County, Texas67; m. --------- HOPPER. iii. JAMES NELSON MOLANDER68, b. 29 Apr 1949, Nacogdoches County, Texas. iv. GLORIA MAY8 REICHARD69, b. 13 Aug 1957, Harris County, Texas. v. STEVEN ALLEN REICHARD69, b. 10 Nov 1955, Harris County, Texas. vi. 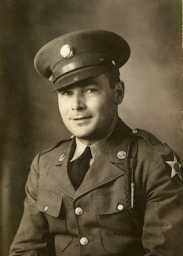 RAYMOND REICHARD, b. 05 Sep 1959, Kansas. 21. CHESTER RAY7 KIRKLEY (JESSE ARDEE6, JAMES HORACE5, ROBERT4, ROBERT KIRKLEY3 SR., JAMES2 KIRKLEY, (SR.), JOHN1) was born 20 Sep 1930 in Nacogdoches County, Texas70. He married BETTY LOU GANN71. ii. DARLENE RENEE KIRKLEY72, b. 27 Aug 1953, Houston, Harris County, Texas73. iii. BETTY SUE KIRKLEY74, b. 22 Jan 1961, Harris County, Texas. 22. IVA LOUISE7 KIRKLEY (JESSE ARDEE6, JAMES HORACE5, ROBERT4, ROBERT KIRKLEY3 SR., JAMES2 KIRKLEY, (SR.), JOHN1) was born 21 Nov 1932 in Nacogdoches County, Texas75. She married (1) NELSON WALKUP 11 Sep 1953. He died 1991. She married (2) DUMONTE JOHNNY SHAW 06 Jan 1960 in Houston, Harris County, Texas. He died 28 Nov 1995. She married (3) WILLIAM LEE STANFORD 23 Mar 2000 in Marquez, Texas. He was born 27 Nov 1924 in Franklin, Texas. She married (4) J. B. WILLIAMS Abt. 2006 in Texas. After divorce from William Stanford, she took back the Shaw name. 62. i. JERRY NEIL8 WALKUP, b. 16 Sep 1954, Houston, Texas. 63. ii. TERRY LYNN WALKUP, b. 17 Nov 1956, Houston, Texas. iii. JOHNNY SHAW8 JR., m. DARLENE ________. Son Of Dumont Shaw and brought into marriage to Iva Louise Kirkley Walkup. 23. TROY EDWARD7 KIRKLEY (JESSE ARDEE6, JAMES HORACE5, ROBERT4, ROBERT KIRKLEY3 SR., JAMES2 KIRKLEY, (SR.), JOHN1) was born 09 May 1937 in Nacogdoches County, Texas, and died 17 Oct 1998 in Spring, Harris County, Texas76. He married (1) TANYA CLAUDETTE MARKHAM 26 Sep 1958 in Houston, Harris County, Texas77. She was born Abt. 1939. He married (2) SHIRLEY CASEY 14 Nov 1965 in Harris County, Texas78. She was born 06 Oct 1934 in Houston, Texas. He married (3) BOBBYE COPELAND COATS79 06 Aug 1989 in Harris County, Texas. Lived at 230 West Rocky Creek, Houston, Texas at time of marriage to Shirley Casey. Married by Kenneth M. Pacetti, Judge. Believe he was married twice to Shirley Casey......original marriage was in Nov 14, 1965, divorced April 13, 1989 in Harris County, Texas. i. TROY EDWARD8 KIRKLEY, JR..
ii. BRENDA KIRKLEY, b. 10 Jul 1959. 64. iii. MIKE TROY8 KIRKLEY, b. 14 Mar 1967. 24. ADDIE JO7 KIRKLEY (JESSE ARDEE6, JAMES HORACE5, ROBERT4, ROBERT KIRKLEY3 SR., JAMES2 KIRKLEY, (SR.), JOHN1) was born 30 Nov 1939 in Nacogdoches County, Texas80, and died 29 Apr 2002 in Lovelady, Texas81. She married (1) CHARLES MELVIN QUEEN82 09 Jan 195882, son of CHARLES QUEEN and LENA COMBEST. He was born 31 May 1927 in Victoria, Texas83, and died 11 May 2001 in Livingston, Polk County, Texas83. She married (2) ROBERT CREED HENSLEY 13 Jan 1964 in San Antonio, Texas, son of MONROE HENSLEY and BETTY SILVERS. 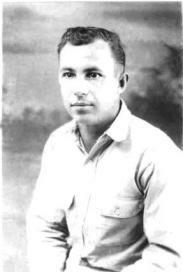 He was born 28 Feb 1918 in Flag Pond, Tennessee, and died 20 Jul 1993 in Crockett, Houston County, Texas. 65. i. TINA ANN8 QUEEN, b. 11 Dec 1958, Houston, Harris County, Texas. 66. ii. LISA ANNETTE QUEEN, b. 25 Nov 1960, Houston, Harris County, Texas. iii. CHARLES MELVIN QUEEN II84, b. 05 Oct 1962. 67. iv. LOCKIE AILEEN8 HENSLEY, b. Sep 1965. 68. v. BOBBIE JO HENSLEY, b. 1971, Rutherford County, North Carolina. searched for birthdate and place of birth; no data found 22 Nov 2008. 25. HORACE7 BROYLES (NINA ALBERTINE6 KIRKLEY, JAMES HORACE5, ROBERT4, ROBERT KIRKLEY3 SR., JAMES2 KIRKLEY, (SR.), JOHN1) was born 1924 in Texas. He married ____________..
26. BETTY LOU7 GREEN (VELMA6 KIRKLEY, JAMES HORACE5, ROBERT4, ROBERT KIRKLEY3 SR., JAMES2 KIRKLEY, (SR.), JOHN1)86. She married HENRY IVAN RUSSELL 16 Jul 1952, son of PEYTON RUSSELL and HATTIE COATS. He was born 03 Jul 1924 in Nacogdoches County, Texas87, and died 12 Apr 1992. Met her at 2004 Reunion and 2008 James Horace Kirkley Reunion. 69. i. TRAVIS LYNN8 RUSSELL, b. 22 Jun 1953. 70. ii. DEBRA ANN RUSSELL, b. 13 May 1955. 71. iii. MARTHA NELL RUSSELL, b. 01 Aug 1957. 72. iv. KATHY SUE RUSSELL, b. 09 Jan 1959. 73. v. ROGER NELSON RUSSELL, b. 11 Apr 1961. 27. MAXINE7 GREEN (VELMA6 KIRKLEY, JAMES HORACE5, ROBERT4, ROBERT KIRKLEY3 SR., JAMES2 KIRKLEY, (SR.), JOHN1)88. She married HORACE STRONG89. 28. VIRGIL7 GREEN (VELMA6 KIRKLEY, JAMES HORACE5, ROBERT4, ROBERT KIRKLEY3 SR., JAMES2 KIRKLEY, (SR.), JOHN1)90 was born 18 Oct 1923, and died 26 Nov 1999 in Nacogdoches County, Texas91. He married OPAL STRONG92. 29. MARVIN WADE7 GREEN (VELMA6 KIRKLEY, JAMES HORACE5, ROBERT4, ROBERT KIRKLEY3 SR., JAMES2 KIRKLEY, (SR.), JOHN1)93 was born 14 Nov 1926 in Nacogdoches County, Texas, and died 11 Nov 1990 in Nacogdoches County, Texas. He married LAVONNA ROBINSON94 1947.
ii. VICKI DARLENE GREEN95, m. _________ HERRON. 30. LOU WILLIE7 GREEN (VELMA6 KIRKLEY, JAMES HORACE5, ROBERT4, ROBERT KIRKLEY3 SR., JAMES2 KIRKLEY, (SR.), JOHN1)96 was born 25 Apr 193597. She married _______ LEWIS. Lou may be the name of her husband....Lou Lewis. A Mrs. Lou Harkins is child of Jerry Green in write-up for Pleasant Hill Cemetery Records. 31. IMA JEAN7 KIRKLEY (WILLIE LONNIE6, JAMES HORACE5, ROBERT4, ROBERT KIRKLEY3 SR., JAMES2 KIRKLEY, (SR.), JOHN1)98 was born 28 Sep 1934 in Nacogdoches County, Texas, and died 24 Apr 2003 in Nacogdoches County, Texas99. 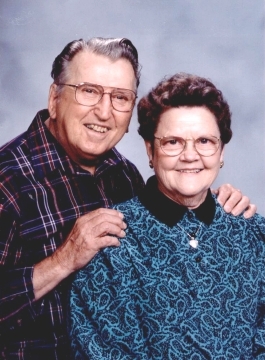 She married CHARLES LEWIS WRIGHT 09 Oct 1952 in Nacogdoches, Texas. He was born 19 Jan 1936, and died 05 Dec 1998. 74. i. CHARLES TIMOTHY8 WRIGHT, b. 29 Nov 1958, California. 75. ii. TERRY MARK WRIGHT, b. 07 Jun 1960, Nacogdoches County, Texas. 76. iii. LARRY GENE WRIGHT, b. 23 Jun 1961, Nacogdoches, Texas. 32. JO ANN7 KIRKLEY (WILLIE LONNIE6, JAMES HORACE5, ROBERT4, ROBERT KIRKLEY3 SR., JAMES2 KIRKLEY, (SR.), JOHN1) was born 23 Dec 1941 in Nacogdoches County, Texas. She married ONEIL STEWART 17 Jan 1959. He was born 04 Nov 1933 in Corrigan, Texas. 77. i. CAROL8 STEWART, b. 15 Sep 1959, Nacogdoches County, Texas. 78. ii. JO LANELL STEWART, b. 12 Jun 1962, Nacogdoches County, Texas. 79. iii. DOUGLAS LONNIE STEWART, b. 27 Aug 1974, Jacksonville, Cherokee County, Texas. 33. DON7 KIRKLEY (ELLIS WADE6, JAMES HORACE5, ROBERT4, ROBERT KIRKLEY3 SR., JAMES2 KIRKLEY, (SR.), JOHN1) was born 30 Mar 1949 in Nacogdoches County, Texas100. He married DELORES ANN EDWARDS 08 Feb 1967 in Cherokee County, Texas101. Met at May 23, 1999 Reunion in Nacogdoches, Texas. 80. i. LAURIE'L LEIGH8 KIRKLEY. 81. ii. TRAVIS WADE KIRKLEY, b. 1972. 34. HOWARD LEE7 KIRKLEY (ELLIS WADE6, JAMES HORACE5, ROBERT4, ROBERT KIRKLEY3 SR., JAMES2 KIRKLEY, (SR.), JOHN1) was born 26 Jul 1951 in Nacogdoches County, Texas102. He married JEANNETTE WALL 21 Dec 1971 in Nacogdoches County, Texas103. She was born Abt. 1940104.
i. KIMBERLY MICHELL8 KIRKLEY105, b. 05 Jan 1973, Nacogdoches County, Texas; m. SHANE D. FLEMING, 08 May 1992, Nacogdoches County, Texas106; b. Abt. 1972. 35. ELLIS GLYN7 KIRKLEY (ELLIS WADE6, JAMES HORACE5, ROBERT4, ROBERT KIRKLEY3 SR., JAMES2 KIRKLEY, (SR.), JOHN1)107 was born 16 Feb 1955 in Nacogdoches County, Texas108. He married JANICE ANN LUND109 26 Jun 1978 in Nacogdoches County, Texas110. She was born 1956.
i. KRISTOPHER GLYN8 KIRKLEY111, b. 08 May 1980, Nacogdoches County, Texas. 36. MARY HELEN7 COATS (ELSIE MAY6 SELF, JAMES HORACE5 KIRKLEY, ROBERT4, ROBERT KIRKLEY3 SR., JAMES2 KIRKLEY, (SR.), JOHN1) was born 05 Oct 1934 in Nacogdoches Co., Texas. She married ROBERT GEORGE AHRENS 15 Jun 1963 in Pleasant Hill Baptist Church, Nacogdoches, Tx., son of EDWIN AHRENS and ELSIE RANDALL. He was born 30 Oct 1927 in Saginaw, Michigan. i. BRIAN EDWIN8 AHRENS, b. 01 Dec 1965, Dallas, Texas112. 82. ii. SHARON HELEN AHRENS, b. 07 Apr 1969, Dallas, Texas. 37. JIM ALLEN COATS7 JR. (ELSIE MAY6 SELF, JAMES HORACE5 KIRKLEY, ROBERT4, ROBERT KIRKLEY3 SR., JAMES2 KIRKLEY, (SR.), JOHN1) was born 16 Mar 1937 in Nacogdoches Co., Texas. He married SANDRA LEE WHITAKER 30 Aug 1959 in Nacogdoches Co., Texas. i. JIM ALLEN8 COATS III, b. 12 May 1960, Nacogdoches County, Texas112. 83. ii. SIDNEY MARK COATS, b. 02 Nov 1963, Nacogdoches County, Texas. 38. BONNIE MAXINE7 COATS (ELSIE MAY6 SELF, JAMES HORACE5 KIRKLEY, ROBERT4, ROBERT KIRKLEY3 SR., JAMES2 KIRKLEY, (SR.), JOHN1) was born 01 Mar 1942 in Nacogdoches Co., Texas, and died 13 Jan 1962 in Dallas, Texas113. She married DRAYDON HUGH MOORE114. He was born 31 May 1939, and died 31 Dec 2003 in Nacogdoches County, Texas115. 84. i. CONNIE MARIE8 MOORE, b. 03 Jan 1961, Dallas, Texas. 39. PATRICIA ANN7 COATS (ELSIE MAY6 SELF, JAMES HORACE5 KIRKLEY, ROBERT4, ROBERT KIRKLEY3 SR., JAMES2 KIRKLEY, (SR.), JOHN1)116 was born 22 Mar 1946 in Nacogdoches Co., Texas. She married THOMAS VINCENT BARONE116 22 Jul 1972 in Pleasant Hill Baptist Church, Nacogdoches, Tx.116. He was born 26 Feb 1947 in New York State. i. MATTHEW8 BARONE117, b. 09 Oct 1982, Dallas, Texas; Adopted child. ii. MICHAEL BARONE, b. 03 Sep 1985, Dallas, Texas117; Adopted child. 40. WANDA FAYE7 COATS (ELSIE MAY6 SELF, JAMES HORACE5 KIRKLEY, ROBERT4, ROBERT KIRKLEY3 SR., JAMES2 KIRKLEY, (SR.), JOHN1) was born 18 Jan 1954118. She married (1) JOHNNY W. KEY 29 Jul 1972 in Nacogdoches County, Texas119. He was born 1951120. She married (2) RON SCHENK 06 Apr 1991 in Nacogdoches County, Texas120. He was born Abt. 1949120. 41. BARBARA ARLINE7 KIRKLEY (ROY LEE6, JAMES HORACE5, ROBERT4, ROBERT KIRKLEY3 SR., JAMES2 KIRKLEY, (SR.), JOHN1)121 was born 30 Mar 1954 in Harris County, Texas. She married EARL L. WILSON 05 Jun 1982 in Harris County, Texas122. i. AMANDA8 WILSON, b. 17 Sep 1986. 42. BRENDA ELAINE7 KIRKLEY (ROY LEE6, JAMES HORACE5, ROBERT4, ROBERT KIRKLEY3 SR., JAMES2 KIRKLEY, (SR.), JOHN1)123 was born 07 Jan 1956 in Harris County, Texas. She married JIM DARWIN REEVES 22 Jan 1977 in Ft. Bend County, Texas124, son of J. REEVES and BILLIE ______. He was born 06 Oct 1952 in Lufkin, Texas125, and died 27 Oct 2003 in Lufkin, Texas126. i. CRYSTAL ELAINE8 REEVES127, b. 29 Jul 1978, Harris County, Texas. ii. MELANIE RENEE REEVES127, b. 23 Apr 1981, Harris County, Texas. 43. KERRY LEE7 KIRKLEY (ROY LEE6, JAMES HORACE5, ROBERT4, ROBERT KIRKLEY3 SR., JAMES2 KIRKLEY, (SR.), JOHN1)128 was born 10 Aug 1957 in Houston, Harris County, Texas. He married RHONDA LAVINE BRUMFIELD129 06 May 1978 in Houston, Harris County, Texas. i. BRANDON LEE8 KIRKLEY130, b. 26 Jan 1983, Harris County, Texas131. ii. KARA LAVINE KIRKLEY132, b. 19 May 1987, Harris County, Texas133. 44. SONJA JAUTHINE7 KIRKLEY (ROY LEE6, JAMES HORACE5, ROBERT4, ROBERT KIRKLEY3 SR., JAMES2 KIRKLEY, (SR.), JOHN1)133 was born 20 Nov 1962 in Harris County, Texas. She married CURTIS ACKLEY 27 Feb 1988 in Polk, Texas134. He was born 01 May 1962 in Potter County, Texas. i. JUSTIN8 ACKLEY135, b. 13 Mar 1990, Galveston, Texas136. ii. RAVEN JADE ACKLEY137, b. 06 Mar 1993, Walker County, Texas138. Raven is a male child. 45. DAVY PATMOS7 HOLAK (BILLIE JEAN6 KIRKLEY, JAMES HORACE5, ROBERT4, ROBERT KIRKLEY3 SR., JAMES2 KIRKLEY, (SR.), JOHN1) was born 22 Nov 1953 in Houston, Harris County, Texas. He married PAMELA ESCOBAR 09 Jun 1981 in Houston, Harris County, Texas139, daughter of LOUIS PADRAZO and BIRDIE ______. She was born 10 Jan 1953.
i. JUDY MARIE8 HOLAK, b. 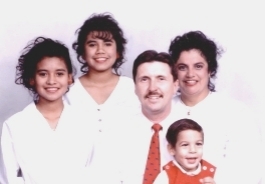 19 Jul 1975, Mexico; Adopted child; m. DON CHE, Houston, Harris County, Texas. ii. ANGELICA SAMANTHA HOLAK, b. 09 Jan 1977, Mexico; Adopted child; m. DENNIS CRONAN, Houston, Harris County, Texas. iii. BRANDON SKYLER HOLAK, b. 04 Mar 1989. 46. DARIUS MARK7 HOLAK (BILLIE JEAN6 KIRKLEY, JAMES HORACE5, ROBERT4, ROBERT KIRKLEY3 SR., JAMES2 KIRKLEY, (SR.), JOHN1) was born 14 Oct 1958 in Houston, Harris County, Texas. He married KAREN LAVENDER 16 Feb 1985 in Harris County, Texas139, daughter of GEORGE LAVENDER and BETTY LAVENDER. She was born 30 Aug 1962.
i. LAUREN ASHLEY8 HOLAK140, b. 03 Mar 1991, Houston, Harris County, Texas. ii. MATTHEW RYAN HOLAK, b. 26 Aug 1993, Houston, Harris County, Texas. 47. DANIEL FRANK7 HOLAK (BILLIE JEAN6 KIRKLEY, JAMES HORACE5, ROBERT4, ROBERT KIRKLEY3 SR., JAMES2 KIRKLEY, (SR.), JOHN1) was born 06 Apr 1960 in Houston, Harris County, Texas. He married DONNA MARIE KLODZINSKI 07 Sep 1984 in Montgomery, Texas141, daughter of T. KLODZINSKI and MARTHA ______KLODZINSKI. She was born 11 Feb 1961.
i. RYAN DANIEL8 HOLAK, b. 28 Apr 1987, Houston, Harris County, Texas. ii. CHRISTINE RENEE HOLAK, b. 06 Sep 1989, Houston, Harris County, Texas. 48. DEREK JOHN7 HOLAK (BILLIE JEAN6 KIRKLEY, JAMES HORACE5, ROBERT4, ROBERT KIRKLEY3 SR., JAMES2 KIRKLEY, (SR.), JOHN1) was born 23 Apr 1974 in Houston, Harris County, Texas. He married SARAH KAY KUBIN142 10 Aug 2001 in Houston, Harris County, Texas, daughter of JOE KUBIN and LYNN KUBIN. She was born 14 Feb 1979 in Houston, Harris County, Texas. i. JUSTIN RYAN8 HOLAK143, b. 23 Aug 2005, Houston, Harris County, Texas144. ii. MICAH LOGAN HOLAK, b. 20 Sep 2007, Houston, Harris County, Texas. 49. DONNA LYNN7 BAKER (LUCILE6 KIRKLEY, JAMES HORACE5, ROBERT4, ROBERT KIRKLEY3 SR., JAMES2 KIRKLEY, (SR.), JOHN1)145 was born 14 Feb 1955 in Houston, Texas. She married RAY STRICKLAND. i. STACY8 STRICKLAND, b. 05 Aug146; m. _____ DILLARD146. 50. GLENDA JEAN7 BAKER (LUCILE6 KIRKLEY, JAMES HORACE5, ROBERT4, ROBERT KIRKLEY3 SR., JAMES2 KIRKLEY, (SR.), JOHN1)147 was born 07 Oct 1963 in Houston, Texas. She married TERRY DOWNS. i. AMBER8 DOWNS, b. 07 Oct 1986148. 51. DEBRA LYNN7 STOLARSKI (LILAS MARIE6 KIRKLEY, JAMES HORACE5, ROBERT4, ROBERT KIRKLEY3 SR., JAMES2 KIRKLEY, (SR.), JOHN1) was born 29 Dec 1954 in Houston, Texas. She married BYRON PAUL BADEN. He was born 23 Apr 1959 in Baltimore, Maryland. i. JUSTIN PAUL8 BADEN, b. 11 Jan 1983.
ii. KATHERINE MARIE BADEN, b. 19 Sep 1984. 52. JERRY LEE7 STOLARSKI (LILAS MARIE6 KIRKLEY, JAMES HORACE5, ROBERT4, ROBERT KIRKLEY3 SR., JAMES2 KIRKLEY, (SR.), JOHN1) was born 29 Mar 1956 in Houston, Texas. He married (1) JOAN ELAINE SULLIVAN. She was born 08 Nov 1950 in Columbus, Mississippi. He married (2) PAMELA SULLIVAN in Katy, Harris Co., Texas. She was born 21 Aug 1960 in Hamburg, Mississippi. He met (3) CINDY RICE BOEGER. 85. ii. JESSICA8 STOLARSKI, b. 13 Oct 1979, Houston, Texas. iii. AMANDA STOLARSKI, b. 14 Jun 1983. 53. LILLIAN MARIE7 STOLARSKI (LILAS MARIE6 KIRKLEY, JAMES HORACE5, ROBERT4, ROBERT KIRKLEY3 SR., JAMES2 KIRKLEY, (SR.), JOHN1) was born 06 Jul 1957 in Houston, Harris Co., Texas. She married JOEY RICHARD CARROLL 20 Dec 1975 in Katy, Harris Co., Texas. He was born 07 Mar 1952 in McCormick, Poinsette Co., Arkansas. Lillian sent Stolarski family information Sat. June 26, 1999. Will send more later. i. SHAWN RICHARD8 CARROLL, b. 01 Mar 1980.
ii. CLARA JEAN MARIE CARROLL, b. 10 Sep 1986. 54. WILLIAM7 STOLARSKI (LILAS MARIE6 KIRKLEY, JAMES HORACE5, ROBERT4, ROBERT KIRKLEY3 SR., JAMES2 KIRKLEY, (SR.), JOHN1) was born 11 Feb 1959 in Houston, Harris Co., Texas. He married LISA DRAKE 14 Feb 1998 in Las Vegas, Nevada. 55. DANNY JOSEPH8 RANDALL (BESSIE7 BOATMAN, BERTHA PRISCILLA6 KIRKLEY, JAMES HORACE5, ROBERT4, ROBERT KIRKLEY3 SR., JAMES2 KIRKLEY, (SR.), JOHN1) was born 19 Oct 1955 in Nacogdoches County, Texas149. He married VIOLET MARIE WRIGHT. Karsen Nicole Randall, b 14 Jul 1997 in Nacogdoches County, Texas. Father Danny Joseph Randall, mother Kelly Ann Greening. i. DANNY JOSEPH RANDALL9 JR., b. 03 Mar 1989, Harris County, Texas. Father's name not on Danny Joseph Randall's birth certificate. 56. GARY ALTON8 RANDALL (BESSIE7 BOATMAN, BERTHA PRISCILLA6 KIRKLEY, JAMES HORACE5, ROBERT4, ROBERT KIRKLEY3 SR., JAMES2 KIRKLEY, (SR.), JOHN1) was born 07 Aug 1948 in Nacogdoches County, Texas150. He married OPAL SVETLIK 01 Aug 1980 in Travis County, Texas151. i. DUSTIN9 SEATON, b. 17 Jan 1974, Milam County, Texas. ii. JESSE WHIT RANDALL, b. 10 May 1981, Milam County, Texas152. iii. STEVEN PAUL RANDALL, b. 24 Jan 1984, Bell County, Texas152. iv. GARY ALTON RANDALL, b. 20 Feb 1988, Bell County, Texas152. 57. JANET8 RANDALL (BESSIE7 BOATMAN, BERTHA PRISCILLA6 KIRKLEY, JAMES HORACE5, ROBERT4, ROBERT KIRKLEY3 SR., JAMES2 KIRKLEY, (SR.), JOHN1) was born 1954 in Nacogdoches County, Texas. She married (1) A. L. HENSON 12 Feb 1971 in Nacogdoches County, Texas153. He was born Abt. 1952. She married (2) ALLEN WAGERS 24 May 1985 in Nacogdoches County, Texas153. He was born 05 Feb 1953154. A, L. was later married to Dana L. Dorsett, 07 Aug 1976 in Nacogdoches County, Texas. 58. JAMES EDWARD8 LUCAS (MYRTLE PAULINE7 KIRKLEY, JESSE ARDEE6, JAMES HORACE5, ROBERT4, ROBERT KIRKLEY3 SR., JAMES2 KIRKLEY, (SR.), JOHN1)156 was born 24 May 1945 in Beaumont, Texas. He married MARSHA H. HARGIS 21 Dec 1968 in Jasper, Texas, daughter of CHESTER HARGIS and JEWEL MCLEOD. She was born 17 Apr 1947 in Jasper, Texas. i. STEHANIE ANN9 LUCAS, b. 10 Jun 1970.
ii. MICHAEL STEWART LUCAS, b. 20 Sep 1972. 59. CARROLL DEAN8 LUCAS (MYRTLE PAULINE7 KIRKLEY, JESSE ARDEE6, JAMES HORACE5, ROBERT4, ROBERT KIRKLEY3 SR., JAMES2 KIRKLEY, (SR.), JOHN1)156 was born 21 Apr 1949 in Port Arthur, Texas, and died 31 Oct 1995. He married NONG in Thailand. She was born in Thailand. 60. PAULA DIAN8 LUCAS (MYRTLE PAULINE7 KIRKLEY, JESSE ARDEE6, JAMES HORACE5, ROBERT4, ROBERT KIRKLEY3 SR., JAMES2 KIRKLEY, (SR.), JOHN1)156 was born 29 May 1959 in Port Arthur, Texas. She married (1) DARRELL YATES. She married (2) STEVE GARZA. i. DARRELL YATES9 JR., b. 28 Sep 1979.
ii. CALEB YATES, b. 05 Jun 1987.
iii. LUCAS DAKOTA9 GARZA, b. 19 Dec 1994. 61. BILLIE RUTH8 MOLANDER (RUTH FAYE7 KIRKLEY, JESSE ARDEE6, JAMES HORACE5, ROBERT4, ROBERT KIRKLEY3 SR., JAMES2 KIRKLEY, (SR.), JOHN1) was born 13 Oct 1946157. She married (1) DENNIS PHELPS JONES 1966. He was born 21 Nov 1946. She married (2) RICHARD SEALS Aft. 1969. Talked with Billie Ruth at May 14, 2006 Family Reunion in Nacogdoches, Texas. 86. i. DENISE9 JONES, b. 23 Jan 1968, Harris County, Texas. 62. JERRY NEIL8 WALKUP (IVA LOUISE7 KIRKLEY, JESSE ARDEE6, JAMES HORACE5, ROBERT4, ROBERT KIRKLEY3 SR., JAMES2 KIRKLEY, (SR.), JOHN1) was born 16 Sep 1954 in Houston, Texas. He married (1) PEGGY JASEK. He married (2) DONNA AYLOR. i. BRENT DAVID9 WALKUP, b. 07 Sep 1983, Baytown, Texas. ii. RHONDA GAIL WALKUP, b. 14 Sep 1986, Baytown, Texas. 63. TERRY LYNN8 WALKUP (IVA LOUISE7 KIRKLEY, JESSE ARDEE6, JAMES HORACE5, ROBERT4, ROBERT KIRKLEY3 SR., JAMES2 KIRKLEY, (SR.), JOHN1) was born 17 Nov 1956 in Houston, Texas. He married (1) RHONDA GAYLE DOUCET. She died 05 May 1985 in Humble, Texas. He married (2) JULIE GREER. He married (3) MELANIE RANSON SIMPSON. Rhonda and her son, Joshua, were killed May 5, 1985.
i. JOSHUA MARTIN9 WALKUP, b. 16 Sep 1981; d. 05 May 1985, Humble, Texas. 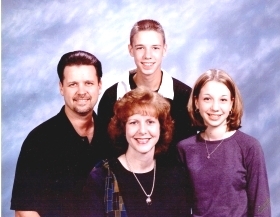 Joshua and his mother, Rhonda, were killed May 5, 1985 in a car accident in Humble, Texas when hit by a drunk driver..
ii. CHRISTOPHER JOHN9 WALKUP, b. 05 May 1987. 64. MIKE TROY8 KIRKLEY (TROY EDWARD7, JESSE ARDEE6, JAMES HORACE5, ROBERT4, ROBERT KIRKLEY3 SR., JAMES2 KIRKLEY, (SR.), JOHN1) was born 14 Mar 1967. He married ANN MICHELLE WILSON158 16 Dec 1988 in Harris County, Texas159. She was born 28 May 1968.
i. JAMES EDWARD9 KIRKLEY, b. 12 Feb 1999. 65. TINA ANN8 QUEEN (ADDIE JO7 KIRKLEY, JESSE ARDEE6, JAMES HORACE5, ROBERT4, ROBERT KIRKLEY3 SR., JAMES2 KIRKLEY, (SR.), JOHN1)160 was born 11 Dec 1958 in Houston, Harris County, Texas. She married (1) DAVID LEE HOLLEY in Harris County, Texas. She married (2) JOHN SNIDER161 in Houston, Harris County, Texas. i. DAVID LEE9 HOLLEY II, b. 25 Sep 1976; d. 22 Aug 2000161.
ii. JOHN9 SNIDER161, b. 22 Nov 1983.
iii. BRANDIE LYNN SNIDER161, b. 15 Sep 1985.
iv. ASHLEY MESHELL SNIDER161, b. 05 Jun 1990.
v. DYLAN CHARLES PAUL SNIDER161, b. 29 Oct 1991. 66. LISA ANNETTE8 QUEEN (ADDIE JO7 KIRKLEY, JESSE ARDEE6, JAMES HORACE5, ROBERT4, ROBERT KIRKLEY3 SR., JAMES2 KIRKLEY, (SR.), JOHN1)162 was born 25 Nov 1960 in Houston, Harris County, Texas. She married (1) TOMMY CARL HOLT163 15 Mar 1976. She married (2) MICHAEL PALMER163 Aft. 1981 in New Caney, Texas. She married (3) TOMMY RAY PRICE163 Aft. 1990 in Livingston, Texas163. Marriage date is not certain. 87. i. CARLA JO9 HOLT, b. 14 Mar 1977.
ii. RICHARD DEWAYNE HOLT163, b. 09 Jul 1980. 67. LOCKIE AILEEN8 HENSLEY (ADDIE JO7 KIRKLEY, JESSE ARDEE6, JAMES HORACE5, ROBERT4, ROBERT KIRKLEY3 SR., JAMES2 KIRKLEY, (SR.), JOHN1) was born Sep 1965. She married (1) DUDLEY PAUL PHILLIPS 14 Mar 1984 in Houston, Harris County, Texas. She married (2) JIMMIE W. SAILER 07 Nov 1990 in Robertson, Texas. He was born 1963.
i. ROBERT LEE9 PHILLIPS, b. 21 Jul 1985, Houston, Harris County, Texas. ii. SHELBY PAUL PHILLIPS, b. 13 May 1987, Houston, Harris County, Texas. iii. TRAVIS WAYNE9 SAILER, b. 15 Nov 1992, Brazos, Texas. 68. BOBBIE JO8 HENSLEY (ADDIE JO7 KIRKLEY, JESSE ARDEE6, JAMES HORACE5, ROBERT4, ROBERT KIRKLEY3 SR., JAMES2 KIRKLEY, (SR.), JOHN1) was born 1971 in Rutherford County, North Carolina164. She married (1) STACEY DURHAM 28 Sep 1991 in Nacogdoches County, Texas165. He was born 1971166. She married (2) CECIL EUGENE SAXTON167 Abt. 1993168. He was born 17 Aug 1966 in Nacogdoches County, Texas169. i. TIMBER ALIECE9 SAXTON170, b. 16 Jan 1994, Nacogdoches County, Texas171. 69. TRAVIS LYNN8 RUSSELL (BETTY LOU7 GREEN, VELMA6 KIRKLEY, JAMES HORACE5, ROBERT4, ROBERT KIRKLEY3 SR., JAMES2 KIRKLEY, (SR.), JOHN1) was born 22 Jun 1953172. He married PAMELA JEAN JARRELL 04 Apr 1980 in Rusk County, Texas. She was born Dec 1958173. 70. DEBRA ANN8 RUSSELL (BETTY LOU7 GREEN, VELMA6 KIRKLEY, JAMES HORACE5, ROBERT4, ROBERT KIRKLEY3 SR., JAMES2 KIRKLEY, (SR.), JOHN1) was born 13 May 1955173. She married FRED WAYNE CURBOW174 09 Jul 1973. He was born 09 Aug 1955175. 88. i. ANNE MICHELLE9 CURBOW, b. 29 Mar 1974. 89. ii. MICHAEL WAYNE CURBOW, b. 31 May 1978, Nacogdoches County, Texas. iii. MISTY NICOLE CURBOW, b. 01 Jul 1982. 71. MARTHA NELL8 RUSSELL (BETTY LOU7 GREEN, VELMA6 KIRKLEY, JAMES HORACE5, ROBERT4, ROBERT KIRKLEY3 SR., JAMES2 KIRKLEY, (SR.), JOHN1) was born 01 Aug 1957. She married (1) JOHNNY STEWART176. She married (2) WYLIE DEAN KOONCE 25 Apr 1987. She married (3) WILBURN JOSEPH NEIL 04 Sep 1997. 72. KATHY SUE8 RUSSELL (BETTY LOU7 GREEN, VELMA6 KIRKLEY, JAMES HORACE5, ROBERT4, ROBERT KIRKLEY3 SR., JAMES2 KIRKLEY, (SR.), JOHN1) was born 09 Jan 1959. She married MARK MCFADDEN178 23 Dec 1977. He was born 03 Feb 1958179.
i. DUSTY RYAN9 MCFADDEN, b. 18 Nov 1980179.
ii. DERICK ALAN MCFADDEN179, b. 26 Jun 1987. 73. ROGER NELSON8 RUSSELL (BETTY LOU7 GREEN, VELMA6 KIRKLEY, JAMES HORACE5, ROBERT4, ROBERT KIRKLEY3 SR., JAMES2 KIRKLEY, (SR.), JOHN1) was born 11 Apr 1961. He married CAROL BRET CHOATE180 16 Jul 1982.
ii. ALLISON VIRGINIA RUSSELL, b. Jan 1992. 74. CHARLES TIMOTHY8 WRIGHT (IMA JEAN7 KIRKLEY, WILLIE LONNIE6, JAMES HORACE5, ROBERT4, ROBERT KIRKLEY3 SR., JAMES2 KIRKLEY, (SR.), JOHN1) was born 29 Nov 1958 in California. He married KELLY GREER. i. RUSSELL TIMOTHY9 WRIGHT, b. 18 Oct 1985, Nacogdoches County, Texas. 75. TERRY MARK8 WRIGHT (IMA JEAN7 KIRKLEY, WILLIE LONNIE6, JAMES HORACE5, ROBERT4, ROBERT KIRKLEY3 SR., JAMES2 KIRKLEY, (SR.), JOHN1) was born 07 Jun 1960 in Nacogdoches County, Texas. 76. LARRY GENE8 WRIGHT (IMA JEAN7 KIRKLEY, WILLIE LONNIE6, JAMES HORACE5, ROBERT4, ROBERT KIRKLEY3 SR., JAMES2 KIRKLEY, (SR.), JOHN1) was born 23 Jun 1961 in Nacogdoches, Texas. He married EVYETTE PHILLIPS. Obituary for grandmother, Lida Berryhill, names Larry's wife as Linda of Woden, Nacogdoches, Texas. 77. CAROL8 STEWART (JO ANN7 KIRKLEY, WILLIE LONNIE6, JAMES HORACE5, ROBERT4, ROBERT KIRKLEY3 SR., JAMES2 KIRKLEY, (SR.), JOHN1) was born 15 Sep 1959 in Nacogdoches County, Texas. She married PORTER STANALAND 21 Sep 1980 in Nacogdoches County, Texas. He was born 12 Dec 1950.
i. MANDI9 STANALAND, b. 22 Nov 1982.
ii. MATTHEW PORTER STANALAND, b. 01 Apr 1986. 78. JO LANELL8 STEWART (JO ANN7 KIRKLEY, WILLIE LONNIE6, JAMES HORACE5, ROBERT4, ROBERT KIRKLEY3 SR., JAMES2 KIRKLEY, (SR.), JOHN1) was born 12 Jun 1962 in Nacogdoches County, Texas. She married EDDIE DALE EDDS 17 May 1980 in Nacogdoches County, Texas. He was born 27 Sep 1959.
i. KYMBERLY FAITH9 EDDS, b. 08 Mar 1983, Nacogdoches County, Texas. ii. WILLIAM TRAVIS EDDS, b. 01 Oct 1987, Nacogdoches County, Texas. 79. DOUGLAS LONNIE8 STEWART (JO ANN7 KIRKLEY, WILLIE LONNIE6, JAMES HORACE5, ROBERT4, ROBERT KIRKLEY3 SR., JAMES2 KIRKLEY, (SR.), JOHN1) was born 27 Aug 1974 in Jacksonville, Cherokee County, Texas. He married (1) MARTHA DEEAN TROTTER 20 Apr 1996 in Nacogdoches County, Texas. She was born 04 Nov 1974 in Nacogdoches County, Texas. He married (2) KELLY HASS 23 Mar 2003181.
i. SAVANNAH ANN9 STEWART, b. 21 Aug 1999, Shrevesport, Louisiana. ii. DOUGLAS COLTON STEWART, b. 21 Aug 1999, Shrevesport, Louisiana. 80. LAURIE'L LEIGH8 KIRKLEY (DON7, ELLIS WADE6, JAMES HORACE5, ROBERT4, ROBERT KIRKLEY3 SR., JAMES2 KIRKLEY, (SR.), JOHN1)182. She married BRYAN JAMES SCHOEN182 07 Nov 1992 in Harris County, Texas. ii. SKYLAR THUNDER RIDGE SCHOEN183, b. 26 Jun 1993, Harris County, Texas. 81. TRAVIS WADE8 KIRKLEY (DON7, ELLIS WADE6, JAMES HORACE5, ROBERT4, ROBERT KIRKLEY3 SR., JAMES2 KIRKLEY, (SR.), JOHN1) was born 1972. He married (1) KIMBERLY RENEE ADAMS184 21 Dec 1990 in Harris County, Texas184. He married (2) WENDY MICHELLE MCMILLAN 17 Mar 1995 in Harris County, Texas184. She was born 1975.
i. WADE ALLEN9 KIRKLEY, b. 16 Mar 1993, Channelview, Texas. ii. KAITLYN DAWN9 KIRKLEY, b. 25 Aug 1995, Pasadena, Texas185. 82. SHARON HELEN8 AHRENS (MARY HELEN7 COATS, ELSIE MAY6 SELF, JAMES HORACE5 KIRKLEY, ROBERT4, ROBERT KIRKLEY3 SR., JAMES2 KIRKLEY, (SR.), JOHN1) was born 07 Apr 1969 in Dallas, Texas. She married GLEN ERIC FANNIN 10 Aug 1991 in Dallas, Texas186. i. MASON GLEN9 FANNIN, b. 16 Aug 1995.
ii. DREW ROBERT FANNIN187, b. 26 Oct 1999. 83. SIDNEY MARK8 COATS (JIM ALLEN COATS7 JR., ELSIE MAY6 SELF, JAMES HORACE5 KIRKLEY, ROBERT4, ROBERT KIRKLEY3 SR., JAMES2 KIRKLEY, (SR.), JOHN1) was born 02 Nov 1963 in Nacogdoches County, Texas. He married JOAN THERESA NEESON 20 Jun 1987 in Sharpstown, Texas. 84. CONNIE MARIE8 MOORE (BONNIE MAXINE7 COATS, ELSIE MAY6 SELF, JAMES HORACE5 KIRKLEY, ROBERT4, ROBERT KIRKLEY3 SR., JAMES2 KIRKLEY, (SR.), JOHN1)188 was born 03 Jan 1961 in Dallas, Texas. She married MARK LINDSEY189 10 Feb 1990 in Jefferson, Texas189. He was born 1959. 85. JESSICA8 STOLARSKI (JERRY LEE7, LILAS MARIE6 KIRKLEY, JAMES HORACE5, ROBERT4, ROBERT KIRKLEY3 SR., JAMES2 KIRKLEY, (SR.), JOHN1) was born 13 Oct 1979 in Houston, Texas. She married TEDDY DEAN ROACH. i. AUTUMN ANN9 ROACH, b. 28 Apr 1997. 86. DENISE9 JONES (BILLIE RUTH8 MOLANDER, RUTH FAYE7 KIRKLEY, JESSE ARDEE6, JAMES HORACE5, ROBERT4, ROBERT KIRKLEY3 SR., JAMES2 KIRKLEY, (SR.), JOHN1)190 was born 23 Jan 1968 in Harris County, Texas. She married (1) RAY RAWLINGS Apr 1988. She married (2) STEPHEN JOHN DELVECCHIO 23 May 1997. He was born 05 Mar 1967.
i. MELYSSA LYNN10 DELVECCHIO, b. 08 Sep 1989.
ii. CHRISTOPHER JOHN DELVECCHIO, b. 31 Jul 1990.
iii. DANIELLE NICOLE DELVECCHIO, b. 29 Sep 2003. 87. CARLA JO9 HOLT (LISA ANNETTE8 QUEEN, ADDIE JO7 KIRKLEY, JESSE ARDEE6, JAMES HORACE5, ROBERT4, ROBERT KIRKLEY3 SR., JAMES2 KIRKLEY, (SR.), JOHN1)191 was born 14 Mar 1977. She married MICHAEL DEWAYNE HIGH191. i. MICHAEL DEWAYNE10 HIGH, JR.191, b. 01 Dec 1997.
ii. MATTHEW LEE HIGH191, b. 22 Dec 1999.
iii. MARQUE ANTHONY HIGH191, b. 02 Apr 2001. 88. ANNE MICHELLE9 CURBOW (DEBRA ANN8 RUSSELL, BETTY LOU7 GREEN, VELMA6 KIRKLEY, JAMES HORACE5, ROBERT4, ROBERT KIRKLEY3 SR., JAMES2 KIRKLEY, (SR.), JOHN1) was born 29 Mar 1974. She married (1) MIKE VARDEMAN. She married (2) LANCE MCCLAIN192. i. CHANCE HUNTER10 VARDEMAN193, b. 14 Feb 1996.
ii. MORGAN NICOLE VARDEMAN193, b. 12 Feb 1999. 89. MICHAEL WAYNE9 CURBOW (DEBRA ANN8 RUSSELL, BETTY LOU7 GREEN, VELMA6 KIRKLEY, JAMES HORACE5, ROBERT4, ROBERT KIRKLEY3 SR., JAMES2 KIRKLEY, (SR.), JOHN1) was born 31 May 1978 in Nacogdoches County, Texas. He married KELLY THOMPSON194. She was born Apr 1981.
i. HALEY MAE10 CURBOW, b. 27 Jul 2002194. 1. Texas Death Index 1964-1998, Certificate 37984. 2. Marriage Records at Nacogdoches County Court House, Personally looked at information Monday May 23, 2005. 3. 1900 Census Nacogdoches County, Texas. 4. Pleasant Hill Cemetery Roster by SheRita Kae Partin. 5. 1920 Nacogdoches County, Texas Federal Census, District 134, Precinct 7; Image 8.....Ancestry.com. 6. Texas Death Records, 1964-1998. 7. Kent G. Kirkley, May 26, 2003, The Houston National Cemetery; Houston, Texas. 8. Return letter from Verline Kirkley Myrick, August 09, 2001. 9. e-mail from Mary Helen Ahrens, Mon. April 14, 2008, Mary Helen's mother, Elsie Self, was step sister to Verline. 10. Marriage License Inquiry System, Harris County, Texas. 12. Pleasant Hill Cemetery Record, Nacogdoches County, Texas. 13. Social Security Death Index. 14. One World Tree on Ancestry.com. 15. Pleasant Hill Cemetery Record, Nacogdoches County, Texas. 16. Info from Wanda Edwards Smith of Houston, Texas. 18. Nacogdoches County births for 1934. 19. Descendants of Sara Priscilla Harless from Wanda Edwards Smith, Page 3. 20. Boyett/Huddleston Public Tree, Ancestry.com; found June 30, 2008. 21. Nacogdoches County records, Visited Court House May 23, 2005. 22. 1930 San Saba Texas Census, Justice Precinct 4, Image 15.....Ancestry.com; dwelling 171. 23. Texas Death Index 1903 - 2000. 24. 1920 Nacogdoches County Texas Federal Census, Image 9....Ancestry.com; Precinct 8. 25. Texas Birth Index 1903 - 1997. 26. Pleasant Hill Cemetery Record, Nacogdoches County, Texas. 27. Jo Kirkley Stewart, Bon Weir, Texas, January 19, 2002. 28. Pleasant Hill Cemetery Roster by SheRita Kae Partin and Lockie Sailer's records. 29. Social Security Death Index. 30. Pleasant Hill Cemetery Record, Nacogdoches County, Texas. 31. Nacogdoches County births for 1927. 32. Obituary of Elsie May Coats, 2005. 33. Mary Helen Ahrens, at James Horace Kirkley Reunion in Nacogdoches, May 2006. 34. Obituary of Elsie May Self Coats, 2005. 35. Texas Marriage Collection 1966-2002. 36. Full name, Roy Lee Kirkley, sent by his son, Kerry Lee Kirkley May 08, 2003. 37. Son---Kerry Lee Kirkley by e-mail, May 08, 2003, Also Social Security Death Index. 38. Enlistment record for Roy Lee Kirkley, 1941; Roy Lee was unmarried at time of enlistment. 39. This is an estimate..
40. From Billie Jean Kirkley Holak, by phone, May 25, 2002. 41. From son, Derek, by e-mail, 26 Oct 2006. 42. E-mail letter from Lillian Stolarki Carroll, January 4, 2002. 43. Texas Birth Index for 1934, County of Nacogdoches, Texas. 44. Social Security Death Index, found 31 Oct 2006. 45. 1920 Nacogdoches County, Texas Federal Census, Precinct 5, Dwelling 355, Image 35....Ancestry.com. 46. One World Tree on Ancestry.com. 47. 1930 Nacogdoches County, Texas Census, Image 12, Ancestry,com, District 14, Precinct 5 (Bogg and Caro Rds). 48. One World Tree on Ancestry.com. 49. Texas Birth Index 1903 - 1997. 50. Jo Stewart by phone, April 04, 2003. 51. Jesse Randall per e-mail, July 27, 2003, Also from Social Security Death Index. 52. Texas Birth Index 1903 - 1997. 53. Texas Divorce Index 1968 - 2002. 54. Texas Birth Index 1903 - 1997. 55. Family members at 2002 Reunion, May 19, 2002. 56. Texas Birth Index 1903 - 1997. 57. California Death Index 1940 - 1997. 58. Nacogdoches County births for 1944. 59. Nacogdoches County Texas births for 1947. 60. Nacogdoches County births for 1942. 61. Texas Birth Index 1903 - 1997. 62. Nacogdoches County births for 1927, showed child died. 63. Texas Birth Records for 1949, Birth for his son, James Nelson Molander. 64. One World Tree on Ancestry.com, added March 29, 2008. 65. Texas Birth Index 1903 - 1997. 66. Conversation with Billie Ruth Molander, Reunion in Nacogdoches, Texas; Sunday May 14, 2006. 67. Nacogdoches Country births for 1948. 68. Texas Birth Records for 1949, Internet. 69. Texas Birth Index 1903 - 1997. 70. Nacogdoches County, Texas: Births 1930. 71. Texas Birth Record for 1903 -- 1997, Under name Darlene Renee Kirkley. 72. Texas Birth Records for 1953. 73. Texas Birth Index 1903 - 1997. 74. Texas Birth Index 1903 - 1997, found Nov. 18, 2008. 75. Nacogdoches County, Texas: Births 1932. 77. Marriage License Inquiry System, Harris County, Texas, Beverly B. Kaufman, County Clerk. 78. Texas Divorce Index, 1968 - 2002. 79. Marriage License Inquiry System, Harris County, Texas, Beverly B. Kaufman, County Clerk. 80. Nacogdoches County, Texas: Births 1939. 81. Daughter Bobbie at 2002 Reunion in Nacogdoches, Texas. 82. e-mail from Lisa Annette Queen Price, May 31, 2003. 83. Ancestry Family Tree, Lisa Price, June 02, 2003. 84. e-mail from Lisa Annette Queen Price, May 31, 2003. 85. Descendants of Sara Priscilla Harless from Wanda Edwards Smith, Page 5. 86. Pleasant Hill Cemetery Roster by SheRita Kae Partin. 87. Rootsweb's WorldConnect Project: Ballard, http://worldconnect.rootsweb.com/cgi-bin/igm.cgi?op=REG&db+brown%5Fbrenda&id=i18627&prin, February 08, 2002. 88. Pleasant Hill Cemetery Roster by SheRita Kae Partin. 89. Fern Kirkley's Records, 1998. 90. Pleasant Hill Cemetery Roster by SheRita Kae Partin. 91. One World Tree on Ancestry.com, Added March 29, 2008. 92. Betty Lou Green Russell's Public Member Tree, Ancestry.com; found June 29, 2008. 93. Pleasant Hill Cemetery Record. 94. Pleasant Hill Cemetery Roster by SheRita Kae Partin. 95. Pleasant Hill Cemetery Roster by SheRita Kae Partin and Lockie Sailer's records. 96. Pleasant Hill Cemetery Roster by SheRita Kae Partin, named under Jerry Green. 97. Nacogdoches County, Texs Births, 1935. 98. Texas Birth Index 1903 - 1997. 99. Daily Sentinel, Nacogdoches Texas, Obituary, April 26, 2003. 100. Texas Birth Records for 1949. 101. Marriage Records, RootsWeb.com, enter Kirkley. 102. Nacogdoches County births for 1951. 103. Texas Marriage Collection 1966-2002. 104. Texas Marriage Index 1966 - 2002. 105. Texas Birth Index 1903 - 1997. 106. Texas Marriage Index, 1966-2002, Ancestry.com. 107. Texas Birth Index 1903 - 1997. 108. Texas Birth Index 1903 - 1997. 109. Texas Birth Index 1903 - 1997, under son, Kristopher Glynn Kirkley. 110. Texas Marriage Collection 1966-2002. 111. Texas Birth Index 1903 - 1997. 112. Texas Birth Index 1903 - 1997. 113. Pleasant Hill Cemetery Roster by SheRita Kae Partin and Lockie Sailer's records. 114. Pleasant Hill Cemetery Record, Nacogdoches County, Texas. 115. Social Security Death Index. 116. Texas Marriage Collection 1966-2002. 117. Texas Birth Index 1903 - 1997. 118. Texas Marriage Collection 1966-2002. 119. Texas Marriage Collection 1966-2002, this is an estimate for marriage #1. 120. Texas Marriage Collection 1966-2002. 121. Texas Birth Index 1903 - 1997. 122. Texas Marriage Collection 1966-2002. 123. Texas Birth Index 1903 - 1997. 124. 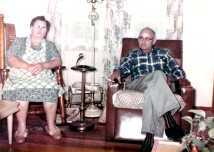 Texas Marriage Collection 1966-2002, Ancestry.com. 125. Brenda Kirkley Reeves at 2004 Reunion in Nacogdoches. 126. Brenda Kirkley Reeves at 2004 Reunion in Nacogdoches, Automobile accident. 127. Texas Birth Index 1903 - 1997. 128. Texas Birth Index 1903 - 1997. 129. e-mail from Kerry Lee Kirkley, husband of Rhonda. 130. 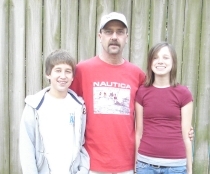 An e-mail sent to Kent Kirkley, May 05, 2003, "My father is Kerry Lee Kirkley". 131. Texas Birth Index 1903 - 1997. 132. e-mail from Kerry Lee Kirkley, father of Kara. 133. Texas Birth Index 1903 - 1997. 134. Texas Marriage Collection 1966-2002. 135. Texas Birth Index 1903 - 1997. 136. Brenda Kirkley Reeves at 2004 Reunion in Nacogdoches. 137. Texas Birth Index 1903 - 1997. 138. Brenda Kirkley Reeves at 2004 Reunion in Nacogdoches. 139. Texas Marriage Collection 1966-2002. 140. Family group sheet by Billie Jean Kirkley Holak, June 2002. 141. Texas Marriage Index 1966-2002. 142. Family group sheet by Billie Jean Kirkley Holak, June 2002. 143. From father, Derek John Holak, by e-mail, 26 Oct. 2006. 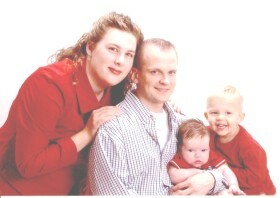 144. e-mail from father, Derek J. Holak, October 28, 2006. 145. Texas Birth Index 1903 - 1997. 146. Nacogdoches Reunion, May 23, 2004, Conversation with Lucile Kirkley Baker Howell. 147. Texas Birth Index 1903 - 1997. 148. Nacogdoches Reunion, May 23, 2004, Conversation with Lucile Kirkley Baker Howell. 149. Texas Birth Index 1903 - 1997. 150. Jesse Randall per e-mail, July 27, 2003. 151. Texas Marriage Collection 1966-2002. 152. Texas Birth Index 1903 - 1997. 153. Texas Marriage Collection 1966-2002. 154. Texas Birth Index 1903 - 1997. 155. Jesse Randall per e-mail, July 27, 2003. 156. Texas Birth Index 1903 - 1997. 157. Nacogdoches County births for 1946. 158. Harris County Marriage License Inquiry (Texas). 159. Marriage License Inquiry System for Harris County, Texas, Beverly B. Kaufman, County Clerk. 160. e-mail from Lisa Annette Queen Price, May 31, 2003. 161. e-mail from Lisa Annette Queen Price, June 04, 2003. 162. e-mail from Lisa Annette Queen Price, May 31, 2003. 163. e-mail from Lisa Annette Queen Price, June 04, 2003. 164. North Carolina Birth Index 1800 - 2000, found 22 Nov 2008. 165. Texas Marriage Collection 1966 - 2002. 166. Texas Marriage Collection 1966-2002, found 22 Nov 2008. 167. Texas Birth Index 1903 - 1997, for Timber Aliece Saxton, found 22 Nov 2008. 168. Estimation based on child's birthday. 169. Texas Birth Index 1903 - 1997. 170. "Souths of America", johnmsouth@psknet.com (March 04, 2003). 171. Texas Birth Index 1903 - 1997, found 22 Nov 2008. 172. Conversation with Betty Green Russell and daughter, Kathy, Nacogdoches Reunion, May 23, 2004 Nacogdoches Reunion, May 23, 2004. 173. Conversation with Betty Green Russell and daughter, Kathy, Nacogdoches Reunion, May 23, 2004. 174. Rootsweb's WorldConnect Project: Ballard. 175. Conversation with Betty Green Russell and daughter, Kathy, Nacogdoches Reunion, May 23, 2004. 176. Rootsweb's WorldConnect Project: Ballard. 177. Reunion at Nacogdoches, May 23, 2004, Conversation with Betty Green Russell and daughter, Kathy. 178. Rootsweb's WorldConnect Project: Ballard. 179. Reunion at Nacogdoches, May 23, 2004, Conversation with Betty Green Russell and daughter, Kathy. 180. Rootsweb's WorldConnect Project: Ballard. 181. Jo Stewart by phone, April 04, 2003. 182. Response to Kirkley Website, January 20, 2003, From Don Kirkley at etwildfire11@aol.com. 183. Texas Birth Index 1903 - 1997. 184. Marriage License Inquiry System, Harris County, Texas, Beverly B. Kaufman, County Clerk. 185. Vital Statistics Inquiry System, Harris County, Texas, Beverly B. Kaufman, County Clerk. 187. e-mail from Mary Helen Coats Ahrens, February 23, 2003. 188. Texas Birth Index 1903 - 1997. 189. Texas Marriage Collection 1966-2002. 190. Conversation with Billie Ruth Molander, and Denise at Reunion in Nacogdoches, Texas, Sunday May 14, 2006. 191. e-mail from Lisa Annette Queen Price, June 04, 2003. 192. Nacogdoches Reunion, May 23, 2004, Conversation with Betty Green Russell and daughter, Kathy. 193. Reunion at Nacogdoches, May 23, 2004, Conversation with Betty Green Russell and daughter, Kathy. 194. Nacogdoches Reunion, May 23, 2004, Conversation with Debra Russell Curbow.